Want to support your favorite authors without spending a single cent? There are plenty of ways to help both authors and publishers that you might not have thought of . . . for free! 1. Borrow and Request their book at your local library. The more requests an author’s book gets, the more likely librarians are to order copies and to mention the book to other librarians. Once you’ve requested your favorite author’s books or you’ve seen that your local library already stocks them, go ahead and check them out. This shows librarians that there is a demand and may encourage them to purchase more books from that author, recommend titles for classroom discussions, or simply put them on special display. Librarians are also responsible for recommending books for prestigious awards like the William C. Morris YA Debut Award and the Michael L. Printz Award, in addition to dozens of other American Library Association awards! 2. Leave reviews on Retail sites and other pages. Amazon, Barnes & Noble, and Goodreads. In the age of algorithms and online purchases, every review counts! The more reviews an author gets on their book’s, the more certain sites and online stories will give it a boost on their Many consumers search these reviews so it’s a great way to build buzz among people outside your circle. You can also post an honest review on your own blog. 3. Suggest a book to your local book club, or start your own reading group. If the group chooses your selection, they’ll either buy it or borrow a copy from the library, both of which give authors an important boost. 4. Send the writer a letter or an email. They love to hear from you! Most authors don’t get a ton of fan mail, so every email, letter, and tweet can really help brighten their days. Being an author can be a rough job, but dedicated readers keep them going. 5. Tell your friends about their book and why you loved it! Word of mouth is a powerful thing, even more so if the review is from someone you know and trust. 6. Retweet and share your favorite author’s publishing announcements. It’s a small and simple thing to do, but it can give an author’s career a powerful boost if enough people join in. 7. Join your favorite author’s newsletters and street teams. Newsletters help you stay up-to-date on an author’s career, while street teams are an exciting way to meet fellow fans while promoting the books you love the most. Do a simple search online to see if your favorite authors have a group you can join! 8. Borrow their books from the library. Once you’ve requested your favorite author’s books or you’ve seen that your local library already stocks them, go ahead and check them out. This shows librarians that there is a demand and may encourage them to purchase more books from that author, recommend titles for awards or classroom discussions, or simply put them on special display. 9. Create a playlist for each of your favorite books and share them with the authors on social media! 10. Share a photo of the book on Bookstagram. Be sure to include plenty of helpful hashtags so other people can find your post, and tag the author and publisher! You never know who will find your post and discover their next favorite read. 11. And finally, share this list to help spread the word! Every share counts, and you never know who it might reach next! Calling All Chicago Area Book Nerds! 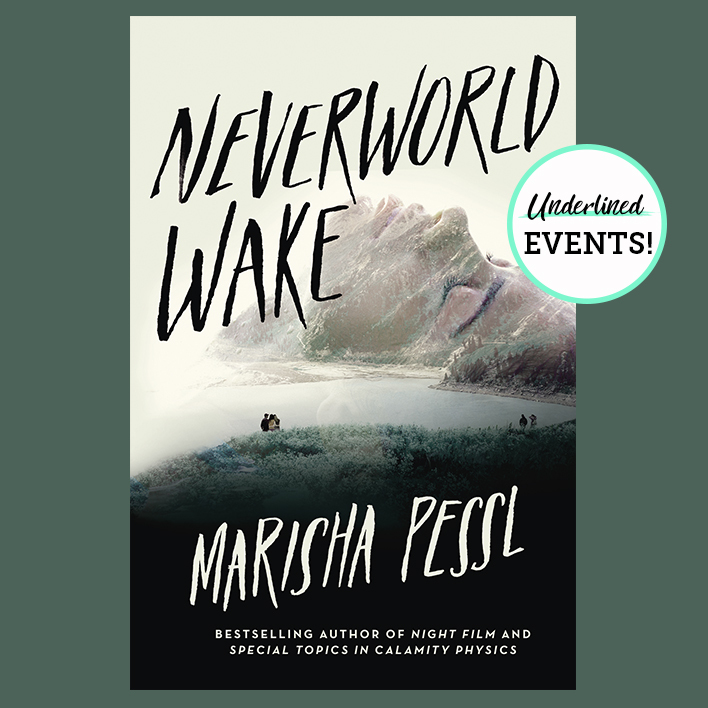 Join Us at a Book Party in Honor of Marisha Pessl! 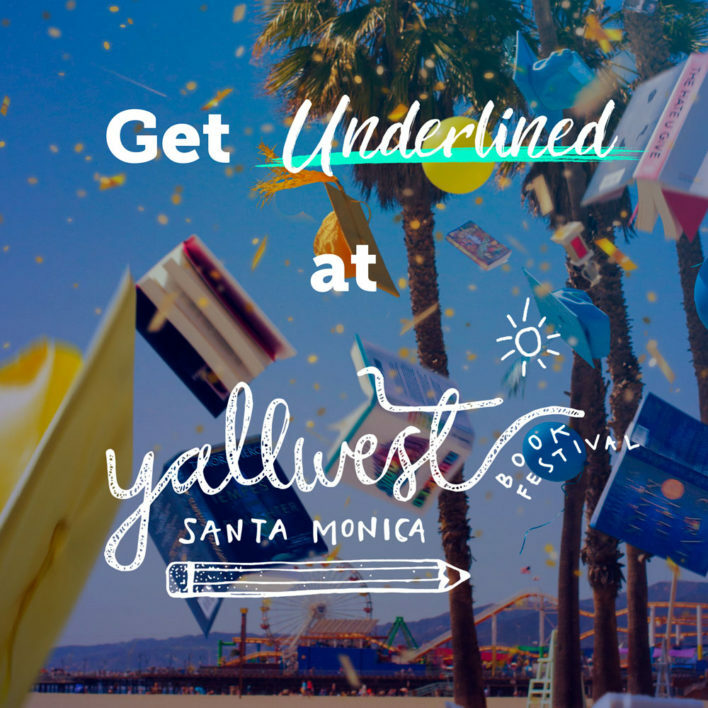 Get Underlined at YALLWest! Check Out Our Schedule!